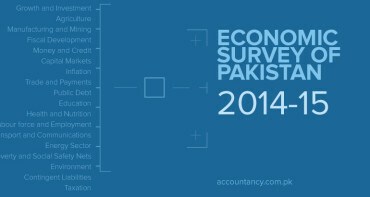 Karachi (June 16 2009) – The federal budget announced in the National Assembly on 13 June 2009 aspires to facilitate economic stabilization by mitigating poverty, revitalizing the industrial sector, advancing the agricultural sector, reducing price inflation, raising tax revenue by relying on indirect taxes and further taxing the existing tax payers. As none of the four sectors for enhancing the tax revenue as identified by the government before the budget announcement has been taxed, the Federal Budget 2009-10 may not be able to address the prodigal challenge of increasing the tax base. There is not much evidence that the budget encourage savings and investment thus raising concerns about sustainable economic growth. The current budget places heavy reliance on financial aid from the Friends of Pakistan and other donors. In case the foreign financial aid is not received, the government may obtain IMF funding or borrow from banks. This would ultimately result in inflation with the burden being borne by common man. 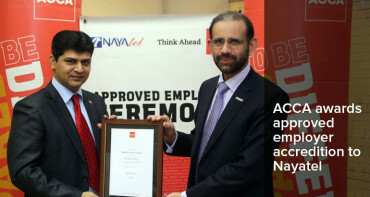 ACCA supports export efficiency and thus believes that the export encouragement benefits announced in the budget are steps in the right direction. There is also an increasing need to reduce reliance on imports. Innovative measures like exploring the option of growing tea leaves in the country and reducing the import expenditure on tea may be considered. ACCA believes that local industrial growth would result in employment creation, national productivity and economic growth. Thus the relief to automobile, mobile sector and cement sector is appreciated. Duties and taxes on import of luxury items may also have further stimulated local industrial growth. The Budget proposes levy of carbon surcharge (carbon tax) on POL products. In its present form, carbon surcharge which would replace the Petroleum Development Levy (PDL) might inflate the POL prices consequently affecting small businesses and consumers. ACCA believes that a fair mechanism for the imposition of carbon taxes aligned with the principles of carbon taxes need to be devised. Carbon Tax is a means to achieve stabilization of greenhouse gas concentrations in the atmosphere at a level that would prevent dangerous anthropogenic interference with the climate system. Carbon Tax only intends to tax the carbon content of the fuel consumption rather than the entire fuel consumption as proposed by the Finance Bill. The carbon tax collected may be used to fund environmental related projects. The proposed withdrawal of duties on wind power plants and initiatives for the water conservation are in line with ACCA Budget Proposals. 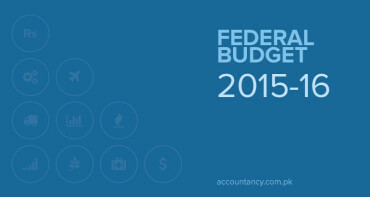 ACCA Budget Proposals advocate social equality thus we support the social welfare initiatives announced in the budget. The success of poverty alleviation measures announced in the budget for example Benazir Income Support Fund and the increase in micro-finance lending depends greatly upon transparency and effectiveness in implementation of these schemes. Against the background of reduced donor funding for micro-finance institutions and increasing inflation where the borrowers struggle to payback the principal amount and the interest, the announced increase in micro-finance lending may be an ambitious target. The sustainable development of SMEs is essential for employment creation. ACCA Pakistan advocates convenient access to finance for SMEs through better resource allocation thus we hope that the Rs.10 billion fund created for SMEs would achieve the desired outcome of SME survival and subsequent growth. ACCA appreciates FBR for introducing the accelerated depreciation for alternate energy projects, the measure being at par with the ACCA Pakistan budget proposals that suggested the tax relief in form of accelerated depreciation on capital equipment purchased to ensure the continuity of power supply.